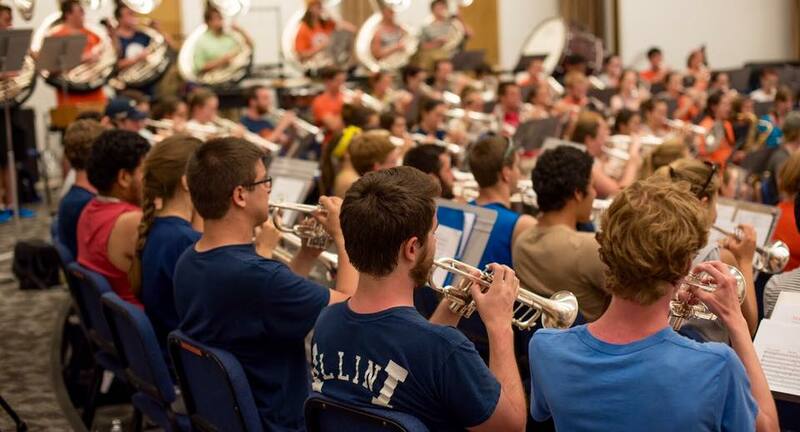 Today we are taking you to the great state of Illinois to hear about what's in store for the Marching Illini from Director Barry Houser as he enters into his 6th year. I am looking forward to seeing our students once again...this is why I do what I do. This whole operation is simply about our students and being part of something bigger than all of us while providing positive and memorable experiences that will last a lifetime. When does band camp start and what is your favorite part of camp each year? Our student staff reports this Friday August 12 while the entire members of the Marching Illini reports Sunday August 14. My favorite part of camp is our first night of camp when we play the first note of our Revised Entrance #3. The look on the Marching Illini's face...priceless!!! Where will the full band be traveling this year? Any other special performances? 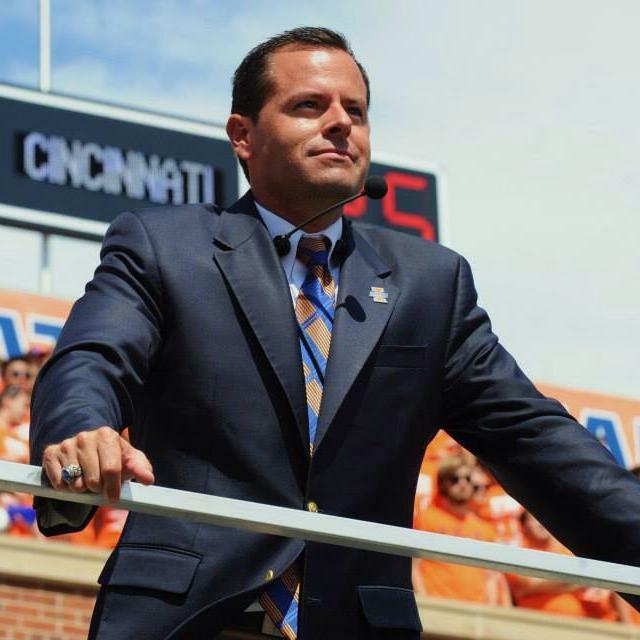 What can we expect at halftime this fall? Due to a very busy schedule last year with Macy's, we are taking it easy this year. We will be traveling to Urbana HS and to Naperville Central HS for exhibition performances, but no road games due to those games being Homecoming for our opponents. We are scheduled to help open the Midwest Clinic in Chicago on December 14th so that should be quite the experience for our students as well as those attending. Halftime is going to be a lot of fun this year with some amazing guest artists joining the world class Marching Illini. We will performing with the Canadian Brass, Gregg Potter of the Buddy Rich Band, and Douglas Yeo, former trombonist with the Boston Symphony Orchestra. If there was one other band in the country that you'd love to host at Illinois who would it be and why? Who will you host this year? It will never happen, but I would love to host the Notre Dame Band. We have a very similar band history and I am a bit partial to them as this is where I grew up...lots of respect for Ken Dye and the students of the Notre Dame Band. We are very excited and honored to be hosting the energetic Western Michigan University Bronco Marching Band and the great Purdue University All American Marching Band. What does it mean to you to come to work every day in this role? What do you hope the students take away from their time in band? I feel I have the best job in the world on Game Days for sure. The history and tradition of the University of Illinois Band is known throughout the world and the pressure to uphold those traditions, are a bit overwhelming at times. However the success of our students and what they continue to do to innovate the traditions of the Marching Illini is extremely rewarding. I hope that the students take away a true love and passion for music that will live with them for the rest of their lives while providing experiences and performances of a lifetime. I hope that we continue to produce great citizens that will go out into the world and continue to make this a better place, while having pride in what they accomplished at one of our country's great institutions. Hmmmm, this is a tough one...I am the President and Director of America's first Drum Major and Marching Band Leadership camp, the Smith Walbridge Clinics established in 1949 where we host 1000 students from across the country each summer on the campuses of Florida Gulf Coast University and Eastern Illinois University. I have now completed 8 Macy's Thanksgiving Day Parades between Buchholz HS, the Macy's Great American Marching Band and this past fall with the Marching Illini.